Datarius is the first and foremost P2P cryptocurrency banking exchange accepted worldwide. The major objective of Datarius is to help people (from all categories) in accessing the financial products and services that are available all across the globe in an efficient way. In other words, it can also be defined as an ecosystem that offers its users the access to a maximum amount of financial services. It uses several efficient blockchain based algorithms and relies on smart contracts. It creates a link between the lenders and borrowers, thereby making the exchange more efficient. Mobile application is also available with Datarius, which helps the users in accessing the system even from their mobile devices. It never eliminates any user for not meeting its requirements like the traditional banks. The only requirement in Datarius is that the users must have cryptocurrencies with them. It was launched in 2017 in the name of a financial technology company named ‘iCrypto S.A’. Aleksey Vuyko is the founder as well as the chief executive officer of this platform. Its partnership concerns include Fin Tab, Crypta and Phenom and so on. The tokens of Datarius are usually referred to as DTRC tokens. Hard cap limit is 67 million US Dollars. It is a decentralized crypto banking network with a lot of benefits for cryptocurrency users. It focuses on the social orientation strategies including the trust management and limits. It imposes only very low charges for making transactions inside the system. It provides security with the help of its verification strategies. It allows all kinds of users into the system, irrespective of any kind of specifications. It assists the users in selecting their banking apps and services, as per their convenience. It provides integration of various transfer systems at an instant manner. It holds a system of credit scoring, in order to analyze the efficiency of a user. It offers a variety of investment opportunities to its users. It holds a wide range of financial tools. It facilitates instant and immediate payment transactions and conversions. It notifies the users upon each and every operation did across the system. 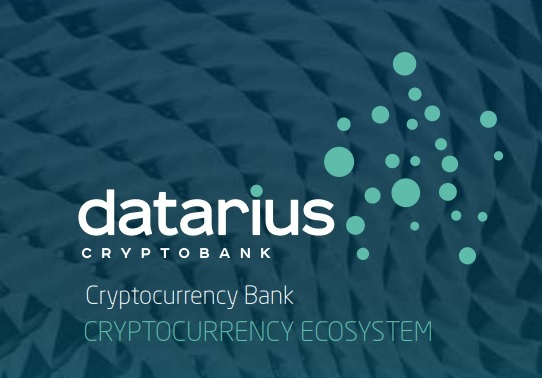 The users can be able to access a wide set of banking services by depositing their cryptocurrencies in Datarius accounts. They can also be able to transfer their cryptocurrencies at lower costs. They can lend or borrow currencies. They can even get loans for their business purposes. The major benefit of Datarius in comparison with the traditional banks is that it provides its valuable services at cheaper rates. Off course, it offers services at highly competitive rates, that nobody will offer.